Reading books or magazines has been always a favourite pastime enjoyed by many people. The Export Portal Printed Books, Magazines and Newspapers Department allows you to shop online and buy all your books, textbooks, newspapers or magazines without leaving the comfort of your home. If you are bitten by the book collecting bug, then there is a large collection for you to buy and read. 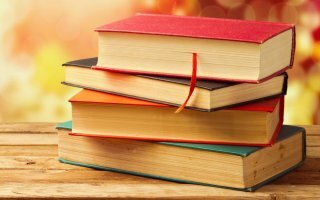 We offer a variety of new and used textbooks for students, books for dummies, bestsellers, action and adventure, business and economics, fiction, children's books, literature and fiction, new and future releases, the choices are really exhaustive when you shop online at Export Portal Book Store. For students we've got all the textbook needs covered for any subject from chemistry, engineering and biology to arts or accounting. To make your search more specific, you can narrow down your search results by using the filter options such as author, format, title, type or year of publishing. We also invite you to read book and seller reviews and review your favorite books too. Buy magazines and newspapers in our online store: American Magazines and Newspapers, UK Magazines and Newspapers, Chinese Magazines or Newspapers as well as publications from Europe, South America, Australia or Africa. So, whether you are looking to buy study guides for accounting, a story book for children or topical newspapers or magazines – Export Portal has everything you need.